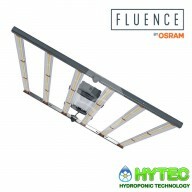 SPYDR 2i | 630W | Fluence By OSRAM The Fluence SPYDR 2i is a full-cycle LED grow light for indoor horticulture, which has been developed for high PPFD cultivation and is a top-lighting solution for licensed cannabis growers and professional home growers. This LED light system is mostly used by..
SPYDR 2P The SPYDR 2p of Fluence is a full-cycle LED grow light for indoor horticulture, which has been developed for high PPFD cultivation and is a top-lighting solution for licensed cannabis growers and professional home growers. 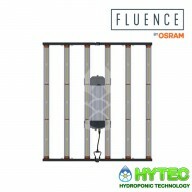 Some growers add more CO2 in combination with this system, which ca..
SPYDR 2x | 345W | Fluence By OSRAM The SPYDR 2x, comparable to the SPYDRx, is a full-cycle LED grow light for home hobbyists cultivating without CO2 supplementation. It has been developed for high PPFD cultivation and is a top-lighting solution for licensed cannabis growers and professional home ..